In all these situations it is very useful to be able to open the safe with an emergency key. However, the key poses a major security issue. If it is hidden in the same room where the safe is installed there is the serious possibility that it can be found by a thief and used to readily open the safe in which we have entrusted our assets. Many people think they have found a really safe place to hide the key, but experience shows that thieves are smarter than you might think. One of the most classic hiding places for a key to a safe (photo by Flickr/Randy Cox). It is important to reflect on the fact that if there were a truly safe place to hide the key we could use it to directly hide the items and do without the safe. The only really safe solution is to hide the key in a different apartment from that in which the safe is installed: at the home of a relative or a trustworthy friend. As it only needs to be used in the case of an emergency it is better to give up a certain degree of convenience in exchange for a much greater security. A possible problem with the emergency key is that someone will make an illegal copy. It is therefore important that the emergency keys for safes only use a patented controlled key-cutting profile, so that they can only be copied at authorised centres and only after presenting the coded ownership card, and if necessary accompanied by the original key and/or showing the owner’s identity document. 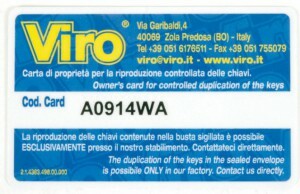 The coded card which allows copying of emergency keys of Viro safes only for the rightful owner. However, even having resolved the problem of custody and management of the key, the mere existence of the lock for emergency opening represents a potential risk for security, as it is one of the points that a potential thief can exploit to attack the safe. Especially if it is a lock fitted with a tubular key, as is the case in many models imported from the Far East. It is therefore essential that emergency locks on safes use a security key and that they are well protected, with special protection plates, against attempted breaking in or drilling. 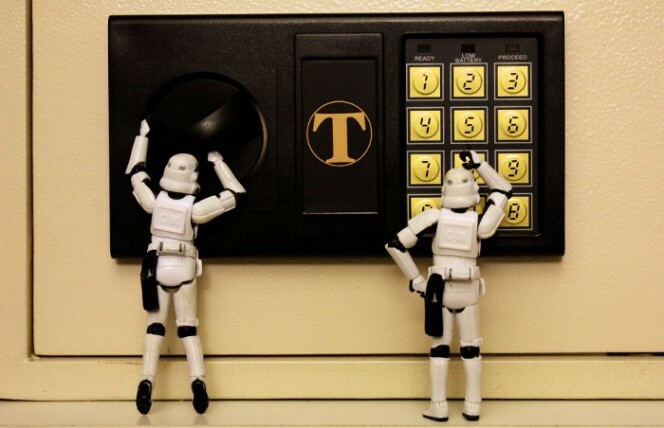 However, from the point of view of security, a fully electronic safe, without an emergency key, may be considered to be more secure. 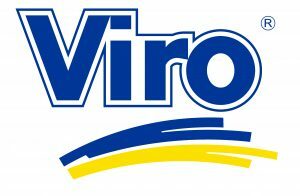 In the case, which is of course possible, that the batteries run out, it is not a problem, because almost all manufacturers, starting from Viro, offer the possibility of connecting an emergency battery from the outside, with the door closed, to open the safe and replace the batteries. If, however, the code has been forgotten, this is a serious problem since, if the safe has been designed well, it can no longer be opened without forcing it. One should be wary of safes which can be opened by support services without breaking them. In this case, it means that the safe has a weak design point, which in theory should be known only to the manufacturer, but which, in practice, no one can guarantee that it has not been discovered by potential thieves. To avoid these problems it is possible to make a note of the code in a safe place, so that it can be retrieved in the event of an emergency. It is easier to hide a code than to hide a key. 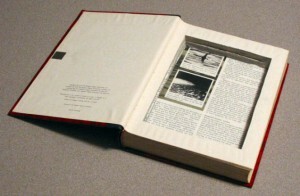 Just don’t write it down on a note kept in the safe, or write it in your address book under the heading “safe”! It is really frustrating in case you forgot about the code of your lock as you will not be able to open the safe when needed. Since I don’t like that to happen to me I will make sure to make code notes so that it can be recovered in case of emergency. If that will fail, then I will not hesitate to seek the help of the locksmith with expertise on safes or on alternative keys. It’s true that the fear for the electronic fault is high when buying an electronic safe. I just move to a new property and I am making sure that everything in my house is secured. I’m looking for credible safe and locks. I will try to find electronic or manual safety.